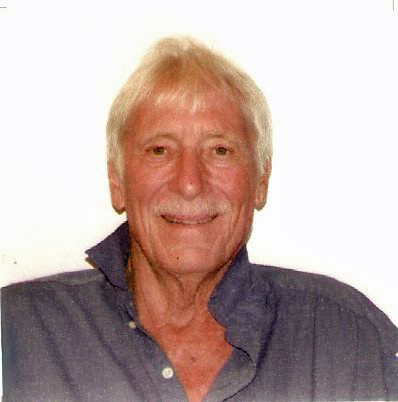 Obituary for John Anthony Meyer | McCombs Funeral Home Inc.
John Anthony Meyer, age 74, of Palm Springs, California, passed away December 14, 2018 at his home. He was born December 15, 1943, in Chicago, Illinois, son of John Anthony Meyer, Jr. and Florence Mary Foley Meyer. After his father, a gunner pilot, was killed in action during World War II, his mother married Sylvester J. Nespor, who loved John as his own. Raised in Fairbury, Nebraska, John was a 1962 graduate of Fairbury High School. He received a bachelor’s degree in Business Administration from Kearney State College in Kearney, Nebraska in 1968 and worked for Sealright Co., a subsidiary of Phillips Petroleum in Atlanta, Georgia until he was transferred to Los Angeles, California. California became John’s permanent residence (except for a short tenure in Hawaii!) The California move motivated John to return to school and get a Master’s in Education; he graduated from California State Polytechnic College in San Louis Obispo, California. He enjoyed teaching and did so while experiencing different areas of California. He completed 25 years in teaching before retiring. Loving survivors include three siblings, Joe (Helen) Nespor of San Carlos, California, Mary K. (Don) Votta and their son, John Anthony Votta of Cape Girardeau, Jim (Angela “Angi”) Nespor and their children, Quinton and Monique Nespor of Ames, Iowa and many cousins and friends. He was preceded in death by his parents and stepfather. A Memorial Mass will be at 11 a.m. on Saturday, March 30, 2019 at St. Mary’s Catholic Church, 7105 Cass Avenue, Denton, Nebraska 68339. The family suggests that memorial contributions be made to St. Mary’s Catholic Church, 7105 Cass Avenue, Denton, Nebraska 68339.